Michael I. Pupin, IRE President, 1917, AIEE President, 1925- 1926, taught mathematical physics at Columbia University. He also studied wave propagation, and applied his findings to long distance telephony experiments and research. Michael Idvarsky Pupin was born on 4 October 1858 in the village of Idvor, Banat, now part of Serbia. In his youth, he served as a shepherd. His parents were illiterate, but Pupin was educated at the local school in Idvor. His education progressed in Panchevo and then Prague. In 1874, with the support of his parents but with very little money, he immigrated to New York. Like many poor immigrants, Pupin found that his early experiences in the United States were not easy. He drove mules, worked on farms, and was employed by a cracker factory while he learned English and saved what money he could. Making use of the resources of the Cooper Union in his spare time, he qualified for entrance to Columbia College in 1879 by passing the entrance exam with high honors. He graduated from Columbia with honors in 1883. He held the John Tyndall fellowship at the university and was president of his class. He became a U.S. citizen the day before graduation. Pupin then spent two years at Cambridge University and continued his education in 1885 at the University of Berlin, studying and conducting research in experimental physics under Hermann Von Helmholtz. He obtained his Ph.D. in Berlin in 1889. 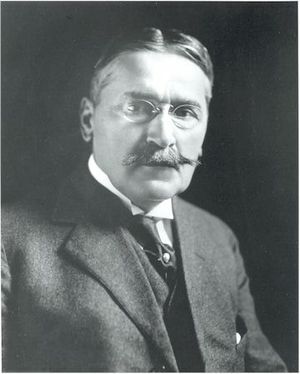 Pupin returned to New York that year to assume the position of teacher of mathematical physics at Columbia; he and Francis Bacon Crocker comprised the faculty of the newly-created department of electrical engineering there. Though the department could make no claims to having the most modern or even sufficient equipment - the laboratory building was known as "the cowshed" - Pupin completed some of his most important work during these early years at Columbia. In 1894, he studied wave propagation in a vibrating string, noting that these waves did not dissipate as rapidly in a string which had weights suspended from it at equal intervals as in an un-weighted string. He applied this finding to long distance telephony, ascertaining the correct spacing of inductance ("loading") coils along telephone lines to remove the barrier of distance from telephone communication. Other important inventions followed. In 1896, he developed a method of rapid x-ray photography, requiring an exposure of only a fraction of a second, rather than that of an hour or more, by placing a fluorescent substance between the photographic plate and the object to be photographed. He remained with Columbia for life, progressing through the ranks to instructor in 1890, adjunct professor in 1892, professor in 1901 and professor emeritus in 1931. During his long career, he numbered Gano Dunn, Robert Millikan, Edwin Armstrong and Irving Langmuir among his students. Pupin was president of the Institute of Radio Engineers in 1917 and of the American Institute of Electrical Engineers in 1925-1926. The AIEE honored him with its Edison Medal in 1920 "For his work in mathematical physics and its application to the electric transmission of intelligence," and he received the IRE Medal of Honor in 1924 "In recognition of his fundamental contributions in the field of electrical tuning and the rectification of alternating currents used for signalling purposes."' In 1915, he was made a Fellow of both organizations. Michael Pupin's autobiography, From Immigrant to Inventor, won the Pulitzer Prize in 1924. He was married in 1888 to Sarah Catharine Jackson from New York and they had one daughter, Barbara. His wife died in 1897. He died, after an illness, in New York City on 12 March 1935. Pupin, Michael. From Immigrant to Inventor (New York, 1923). "Dr. Michael I. Pupin Dies in Coma at 76, " New York Times, Mar. 13, 1935. This page was last edited on 14 February 2019, at 20:28.